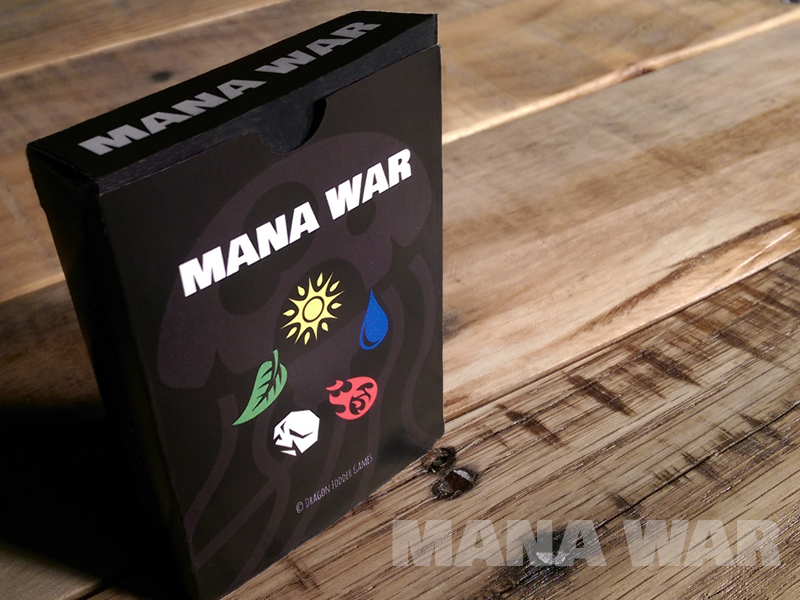 Mana War now available for purchase! 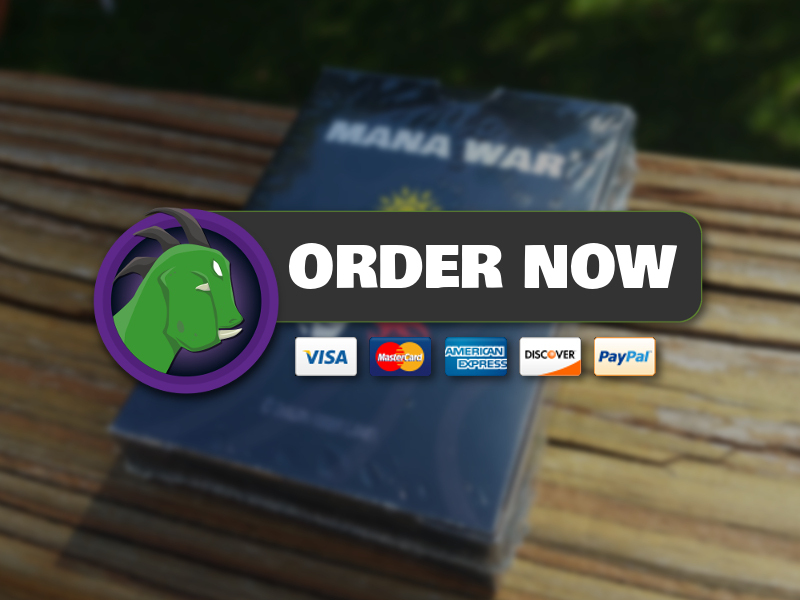 Mana War is now generally available for $15 per copy!  Click the image above to go straight to checkout! 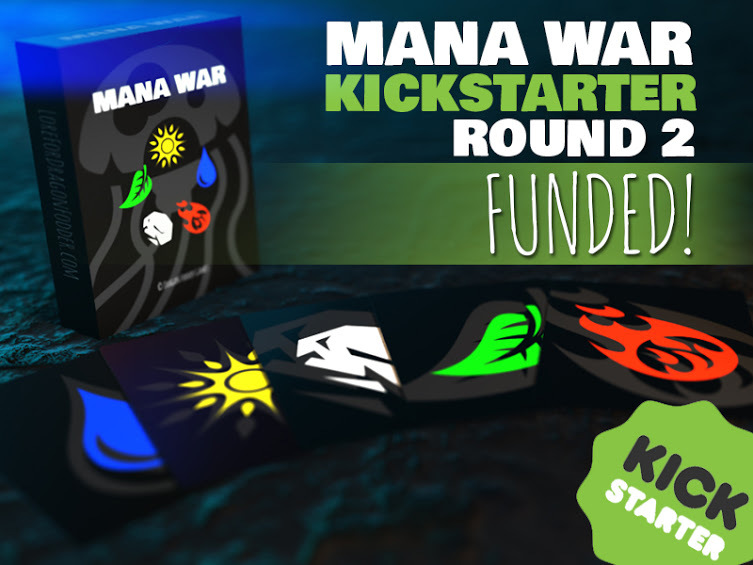 Mana War has been FUNDED! Thank you to everyone who pledged for a copy (or copies) of Mana War! You will be receiving updates through the process as the game is printed and shipped! Mana War is the first product release from Dragon Fodder Games. It is a deck of 50 cards with 5 mana-type suits, useable to play many different games! Check out the Mana War page for more info and a listing of game rules.